If you don’t carefully consider the future cost of ownership for aerial lift equipment, your company’s financial health can be impacted negatively in the future. It’s smart to consider both the potential costs and benefits before making your decision to rent or own. What Kind of Costs Can You Expect from Ownership? Because you own the equipment, you are solely responsible for all maintenance and repair. Should you choose to rent equipment, maintenance and repair is generally handled by the rental company. Aerial lift equipment maintenance can be very pricey in the long term so it’s important to consider. With aerial lift equipment being so large and expensive, you will need to own or rent facilities that are large enough to securely accommodate all of your equipment. You will also likely need to hire a subcontractor to transport your equipment from job site to job site. 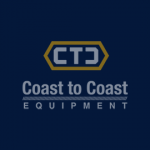 However, if you choose to rent your equipment instead of owning it, the rental company will take care of all transportation and storage costs and insure that you have your equipment on the job site when it needs to be there and take it away when it needs to go. If you are the sole owner of your equipment, it’s your responsibility to keep it up to code and make sure that it complies with ANSI imposed standards. However, if you choose to rent your equipment all ANSI-required inspections are taken care of by your rental company. With this in mind, renting saves you a lot of time, money, and frustration. When you buy a piece of equipment, you are likely stuck with it long term. If you happen to no longer need that particular piece of equipment in the future, you either have to sell it or store it. In comparison, renting gives you the ability to test out equipment for weeks or months until you find the piece of equipment that meets your needs. When you buy equipment, you’re most likely tying up capital that could otherwise be used towards growing your core business. This is especially true with rising equipment and financing costs. Rental of equipment can also provide you with some nice tax benefits. You’ll have to speak with your accountant or tax advisor to find out the specific details. No matter how well you maintain and care for your equipment, it’s going to lose value over time. As technology progresses and new features are introduced that improve the functionality and versatility of equipment, you run the risk of your equipment becoming obsolete and may be stuck with it once you no longer need it and are looking to sell. If you own your equipment and it breaks down, you’re responsible for repairing it. In addition, your crew is sitting idle and you’re losing time. If you are renting your equipment and it breaks down, the rental company will likely send you a new replacement which allows for your team to keep working and minimizes lost time. When you rent your equipment, you can rely on a trusted and experienced professional from the rental company to provide training to your employees and crew on the job site. If you choose to own your equipment, you will be responsible for the training associated with operating the equipment properly and safely. Aged or no longer functioning equipment will need to be properly disposed of. It’s likely that you will have to hire a disposal service to take care of this for you. We hope that we have provided some valuable insight into the hidden costs of ownership of lift equipment. While these may not all occur during the lifetime of ownership of your equipment, it’s good to be mindful that they can and be prepared ahead of time. What is a carry deck crane?